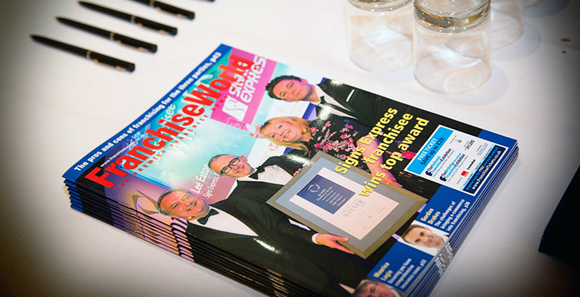 Franchise magazine, franchise exhibitions, seminars and events. April 24 – BFA Prospective Franchisor Seminar, Birmingham, BFA. April 25 – BFA Prospective Franchisee Seminar, Birmingham, BFA. May 16 – Superbrand, Institution Engineering Technology, London, BFA. May 21 – BFA Prospective Franchisor Seminar, Gatwick, BFA. May 22 – BFA Prospective Franchisee Seminar, Gatwick, BFA. June 21-22 – The Northern Franchise Exhibition, EventCity, Manchester, VMG. June 27 – BFA/HSBC Franchise Awards, BFA. June 27-28 – BFA Franchise Conference, The Vox Conference Centre, Resorts World, Birmingham. BFA. July 11 – BFA Chairman’s Charity Day, BFA. Oct 4-5 – The National Franchise Exhibition, NEC, Birmingham, VMG. Jan 31-Feb 1 – The British & International Franchise Exhibition, Olympia, London. March 13-14 – The National Franchise Exhibition, NEC, Birmingham, VMG. 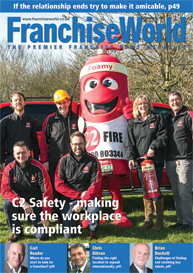 This is Britain’s longest-established and leading franchise news magazine for both franchisees and franchisors. It includes regular leading-edge articles on the issues of the day, the latest franchise launches, and an important section giving details of franchises that are actively recruiting in a wide range of businesses. Founded in 1978, the magazine is published bi-monthly. Appropriate issues include free tickets for a forthcoming British Franchise Association (BFA) supported franchise exhibition. Annual subscription: UK £35; other countries: £50.